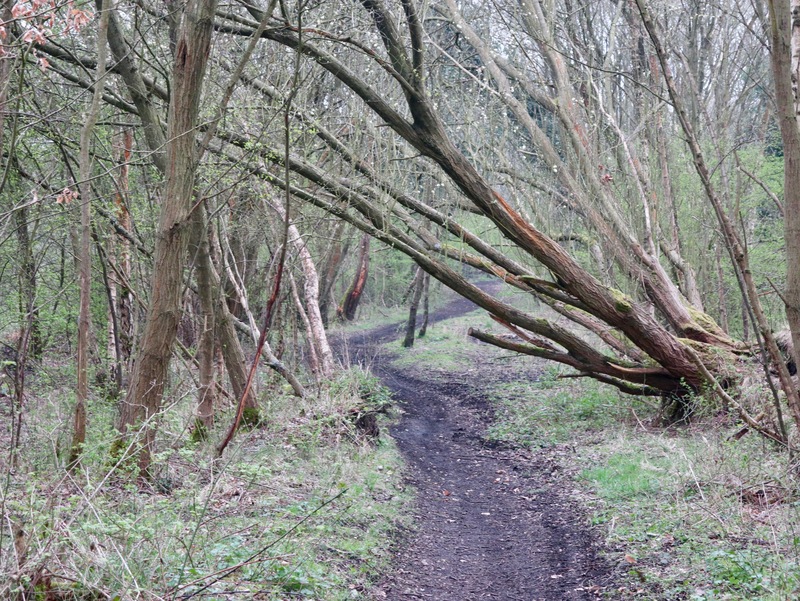 April 7th – I came back up Albutts Road and down the old rail line to the old cement works bridge at The Slough. On the part of the track between Engine Lane and the A5 which isn’t an official cycleway, there are several fallen trees making riding fun, necessitating an array of ducking, weaving and bunny hops. The fallen wood also may have the added benefit of chinning some pillock on a quad or scrambler who illegally terrorise these woods scaring wildlife and walkers.